DETROIT (Reuters) -- General Motors said it will fall short of its goal of having 500,000 GM vehicles on U.S. roads by 2017 that are powered by some form of electricity. The No. 1 U.S. automaker said in its annual sustainability report that lower gasoline prices and a "surge" in model offerings from all automakers contributed to the lower-than-expected sales for electrified products, including plug-in hybrids, pure electric vehicles and vehicles with the eAssist system that boosts fuel efficiency in gas-powered cars. "For our commitment to electrification, our forecasted outlook currently projects us, along with the broader automotive industry, falling short of expectations for 2017," GM said in the 2014 report released on Thursday. "GM is committed to electrification ... but consumer demand for these vehicles has not kept up with our initial projections," it added. The company said it counted 180,834 electrified GM vehicles on U.S. roads last year, up from 153,034 such vehicles in 2013. GM CEO Mary Barra outlined its 2017 target in November 2012 when she was the automaker's global product chief. At the time, Barra said the company's plans called for the eAssist system, which boost fuel efficiency as much as 25 percent in some gas-powered vehicles, to be on "hundreds of thousands" of vehicles annually by 2017. GM, like other automakers, needs more fuel efficient cars as the industry pushes toward more stringent U.S. requirements that will be in place by 2025. Electric vehicles have failed to catch on with consumers due to high prices, disappointment with electric driving range and an under-developed charging infrastructure. Low gas prices have fueled consumer demand for larger vehicles, including full-size pickup trucks and SUVs. In 2013, The U.S. Department of Energy backed off President Barack Obama's goal of putting 1 million electric cars on U.S. roads by 2015. 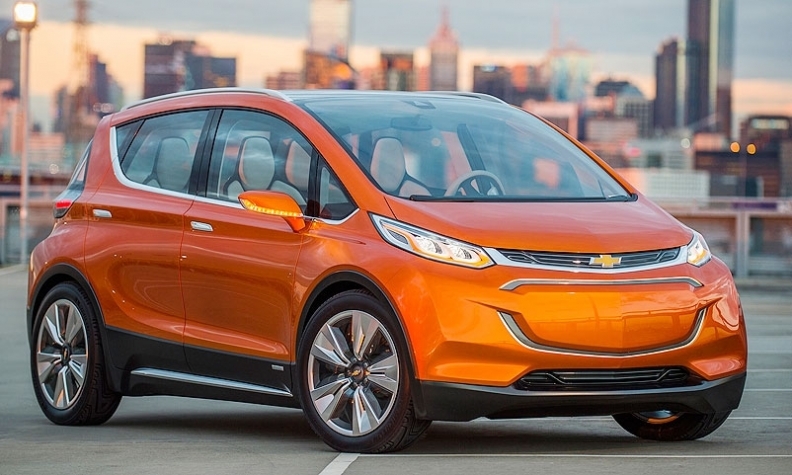 GM is developing an all-electric vehicle, the Chevrolet Bolt, with an electric driving range of 200 miles and production is expected to start in 2016. It will sell for about $30,000 after a federal tax rebate. The automaker also this fall is introducing a redesigned version of its Chevy Volt plug-in hybrid that has an increased electric driving range of 50 miles and sells for almost $1,200 less than the current version of the car.